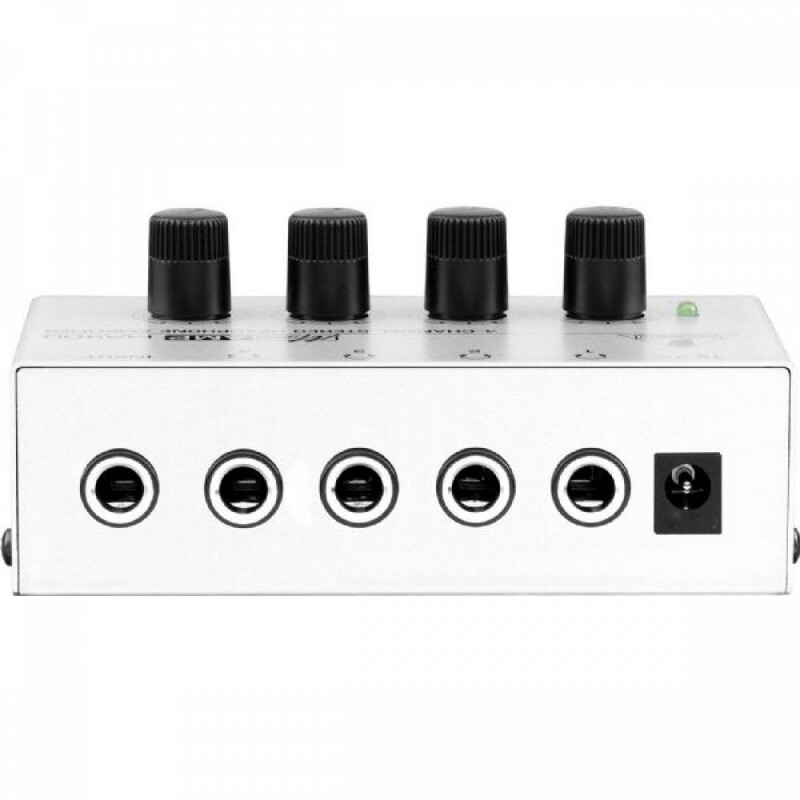 The super-compact, flexible Behringer MICROAMP HA400 can amplify up to 4 pairs of headphones and up to 4 independent volumes all at the same time. 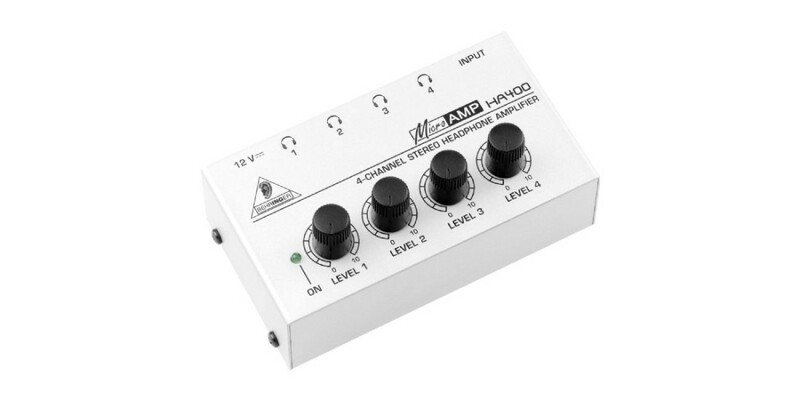 Have up to 4 different people in your studio use the HA400 headphone amp to hear the main mix while recording, and each listener can set their own volume level using the MICROAMP's dedicated output level controls. The Behringer HA400 contains 4 high-power stereo amplifiers that maintain the highest sonic quality even at maximum volume levels. 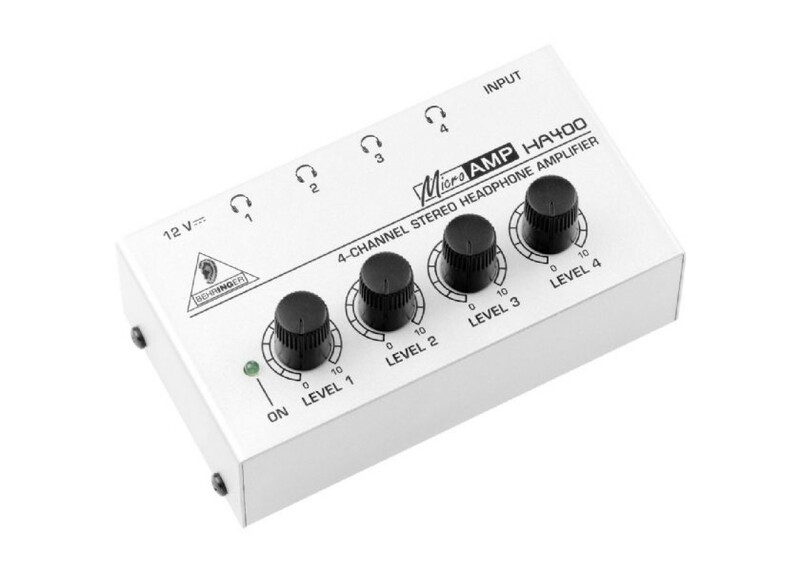 Ultra low-noise 4580 operational amplifiers are included for outstanding audio performance. These are the same op amps found in full-size audio equipment. 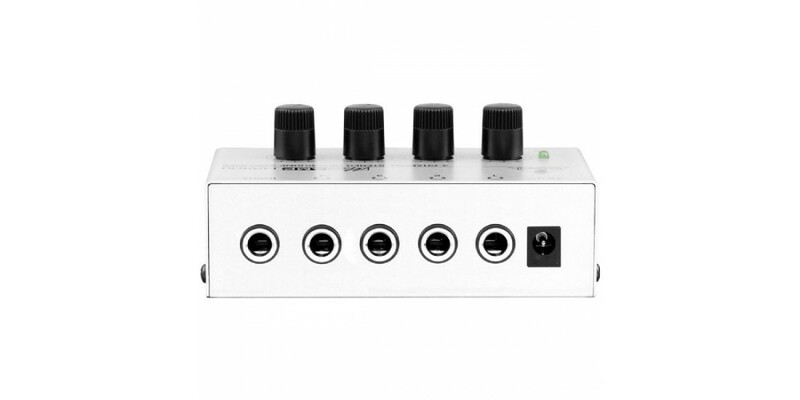 Behringer includes a DC 12-Volt adapter wtih the MICROAMP HA400 Headphone Amp.